Is it snowing in Loveland ?Thank you! 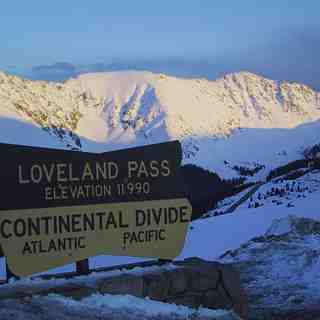 Loveland has been a local favorite for decades. 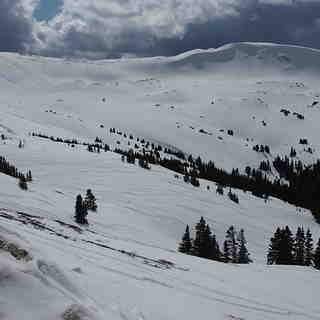 It is usually one of the first Colorado ski areas to open. Skiers and boarders looking for more aggressive terrain are likely to show up at Loveland Basin, where steeps, bumps and glades team up with wide open bowls. 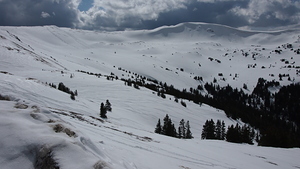 Beginners enjoy the feel of a separate base area with milder slopes at Loveland Valley. Looking for an adrenaline rush that can only come from cutting fresh tracks in untouched powder? 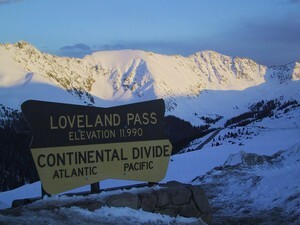 Loveland's Chair 9 will now whisk skiers and riders to the chutes and ridges along the Continental Divide, higher than any other four-passenger chairlift in the world. Lodging is virtually unlimited with everything from hotels to large condominiums with every amenity. Accommodations are also available in nearby Georgetown or 12 miles west in Summit County.